The Grauer School is the regional leader when it comes to balancing rigorous college preparatory education with expeditionary learning. We know it takes more than acing tests to be successful in life. That’s why we focus on not only preparing our students for college, but beyond. Our program is consistently successful in shaping individuals who are not afraid to ask questions, challenge themselves in and out of the classroom, and balance their academic interests with their true life passions. "Developing compassion and kindness is far harder to achieve in a school than scholarly achievement - but you have managed to do both! Congratulations for your vision and staying true to your original mission. Thank you very, very much! The Grauer School Edge: Over the past three years, Grauer seniors have been accepted to 85% of all colleges to which they have applied. They have been accepted to 93% of their top two choice schools. They have amassed over $6.1 million in merit-based scholarships, averaging around $80,000 per student. English, Global Insights, Math (Pre-Algebra or Algebra 1), and Life Science (lab-based). Academic Support: At The Grauer School we have a 7:1 student to teacher ratio which enables individualized instruction and fosters meaningful connections. We offer several levels of support services, including: flexible scheduling, mastery learning, office hours, educational mentoring, and one-on-one guidance and counseling. Graduation Requirements: The Grauer School’s graduation requirements follow the UC track (a-g requirements) and exceed California State Standards. In addition, graduates are required to complete 50 hours of community service, ecological and humanitarian expeditions, and a Senior Graduation Thesis Defense. Socratic Learning: Nothing is more fundamental to The Grauer School way than giving students a voice. There are no second rows at Grauer. Our great teachers balance required curriculum with empathic listening as adolescents express diverse developmental needs. Social and Leadership Activities: Grauer students are first and foremost leaders. The school’s array of opportunities fosters building positive relationships with students of different backgrounds and positive relationships with adults in the school. Some activities include: ASB/Leadership Class, no-cut and competitive sports, Clubs, and Community Partnerships. Visual and Performing Arts: The goal of our visual and performing arts department is to allow students to discover their passions and unique artistic talents. The curriculum exposes them to the pleasures and benefits of creative expression. Opportunities include: studio art, music, theater arts, photography, graphic design, creative writing, film studies, recording arts, AV team, and internships. College Counseling: The objective of the counseling office is to prepare our students for successful post-secondary education and career development. Beginning in 9th grade, students receive highly personalized tools, information and encouragement to help them identify and achieve their higher education goals. College counseling services include: college expeditions, camp college, individual counseling, and application monitoring. 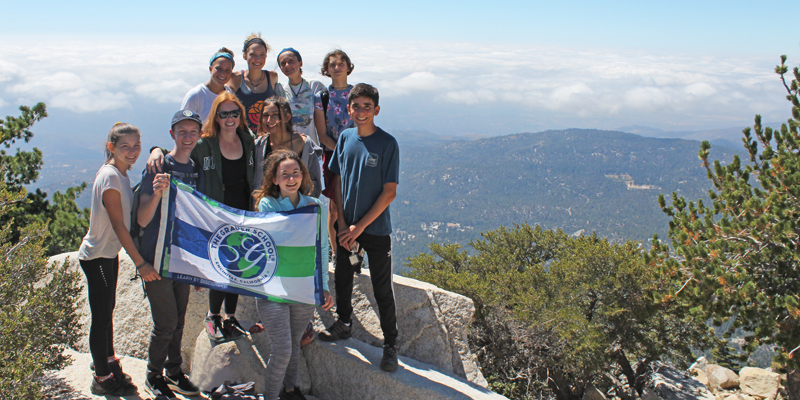 Expeditions: Rooted in the philosophy that real world engagement is critical to an authentic education, our expeditionary learning program transports students around the globe to immerse themselves in unfamiliar languages, cultures, and ecosystems for two full weeks per year. The arts, community service, geography, physical challenge, social interaction, and student reflection are all a part of these educational and humanitarian experiences.